Kingdom Konsultant Travel Blog: Let's Talk Souvenirs! At Walt Disney World everyone has a favorite. Whether a show, ride, restaurant or resort - there's something for everyone! One of my favorite things about a Disney vacation is the shopping. It doesn't matter if it's for myself or for someone back home, the shopping is so much fun! And there is no shortage of stores to find that perfect gift. While there are thousands of gifts and souvenirs to choose from, here are some of my favorite Disney vacation must haves! I like to refer to the first group as classic souvenirs. These are the items that are a must have on any Disney vacation, be it your first or fiftieth! Nothing says I went to Disney World like a pair of Mickey ears! In recent years, the variety of ear hats has become quite large. From sequins and feathers to those with a glass slipper on top, there is a perfect set for everyone! They are also a great way to commemorate a special occassion, with bride and groom ears for honeymooners, graduation hats for grads and pint-sized ears for baby's first visit! Along with the ear hats, another must have is a Mickey balloon. While it isn't a gift that will last forever, Mickey balloons are a classic! Another classic is a Premium Mickey Bar. Much like the balloon, it won't last long, but no Disney vacation is complete without one! 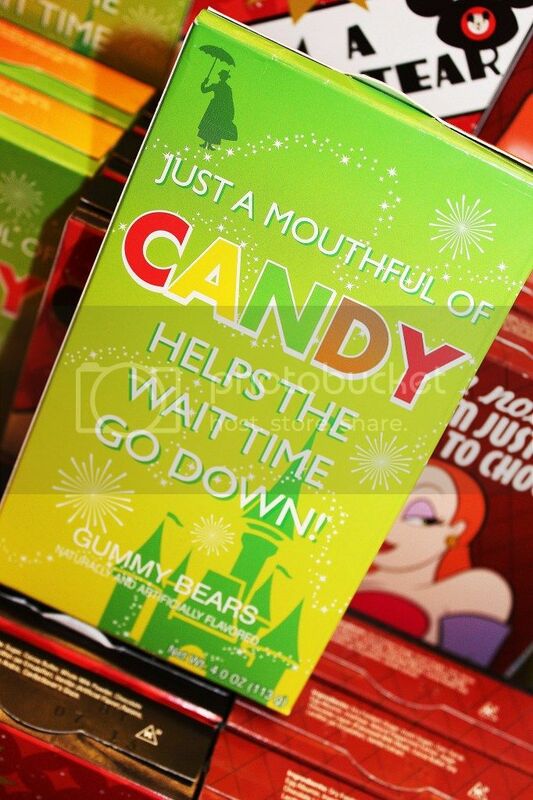 For those like me who like to add a little Disney magic to their daily life, you're in luck! Sweatshirts, t-shirts and pajamas are just a few ways you can add a little dose of Disney to your wardrobe. While some people may not want to wear Mickey decorated apparel, you can choose something a bit more subtle, such as watches and jewelry. I for one am obsessed with the Alex and Ani bracelets and Chamilia charms. 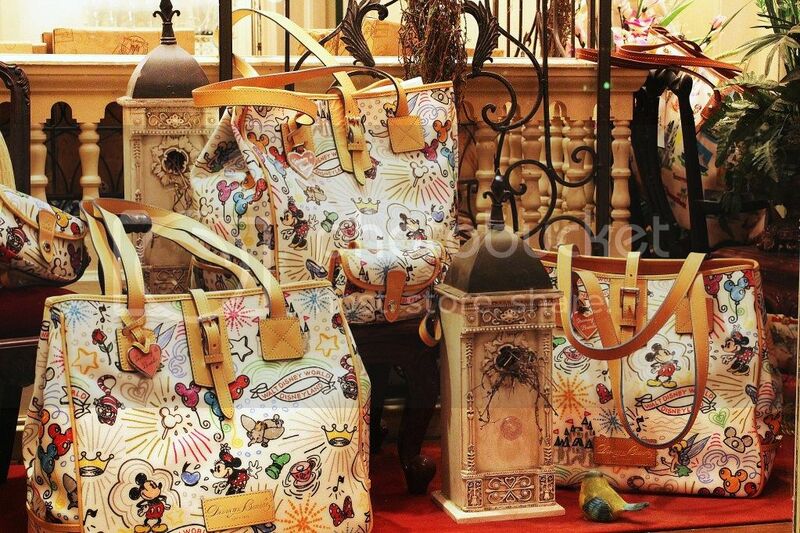 Another one of my must have accessories is one of my Disney Dooney & Bourke bags. Some of the Dooney bags can get a bit pricey, but Disney has a vast collection of wallets and handbags of different designs and price tags. Now there is no denying that the very worst part of any Disney vacation is that it has to end. But with souvenirs, the magic can continue after you get home! One of my favorite ways to bring the magic back home with me is through photos and videos. Not just the photos I take, but also by utilizing Disney's PhotoPass service. While we're talking photos, there is no better way to showcase your captured memories than in a special frame or photo album from your favorite Disney destination! Adding some magic to your home is a great way to get a little extra Disney after a trip, too! Utensils, towels, cook books, wall decor, ornaments and so much more are available to make your home a little more Disney-fied (as I like to call it). And lastly, bringing home some of your favorite candy or snacks from your Disney trip can help ease the harsh reality of the real world. Goofy's Candy Company offers some great sweets and let us not forget about Mickey shaped macaroni & cheese! As you can see, there is no shortage of great souvenirs on a Disney vacation, and we have only scratched the surface of the great shopping to be had! Do you have a favorite souvenir to bring home from a Disney vacation?